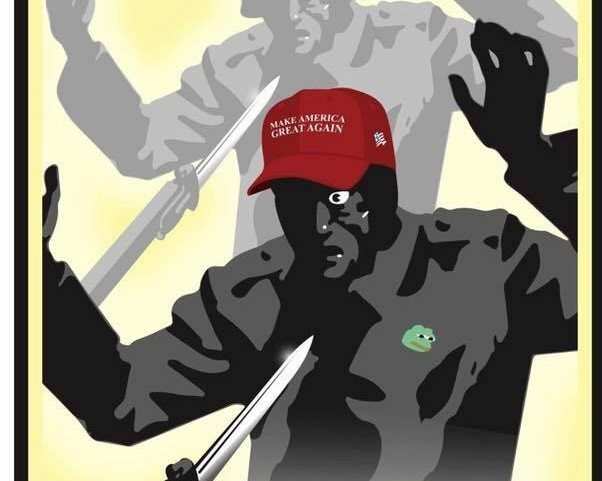 An image promoting an anti-Trump event suggests killing Trump supporters with a bayonet. On Saturday, April 29, the City of Portland will hold its 11th annual Avenue of Roses Parade. 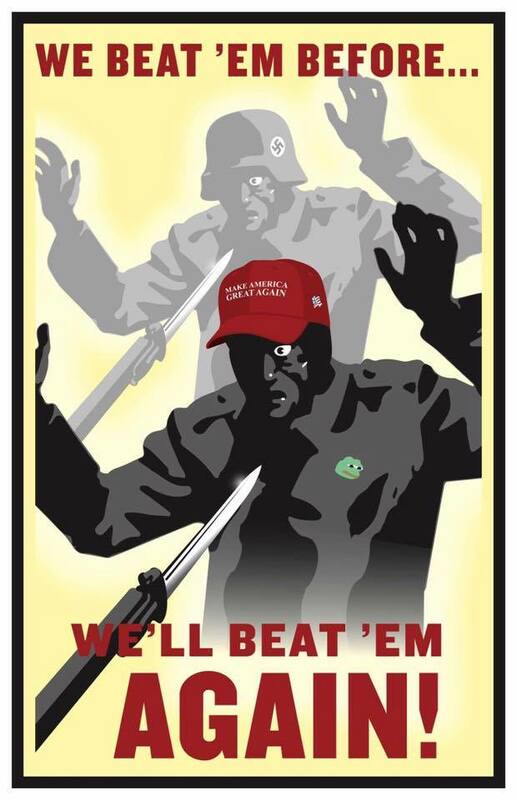 Upon hearing that Republicans and Trump supporters may be in attendance, so-called “anti-fascist” activists planned a counter-event, called “Defend Portland from Fascists at the Avenue Of Roses Parade.” The event was also advertised on Facebook by various Antifa groups and an organization called the “Direct Action Alliance,” which advertised its event with a picture suggesting that Trump supporters be killed with bayonets. The fascists know that we’ll keep shutting their marches down, they are now planning to march within other parades to protect their message of hate and white supremacy – it WON’T work. Nazis will not march through Portland. The group we’re disrupting is #67. It is registered to the Multnomah County Republicans, but these infiltrators are the same folks from Lake Oswego, Salem, Vancouver, and even Berkeley. These are the folks that attacked a woman at PDX, they harrassed Latinx paritioners with slurs and threats at a local church, they spew hate, threaten and curse young women at women’s health clinics. They seek to intimidate and harass our Latinx, Muslim and LGBTQ+ neighbors and friends. Their Trump flags, their red MAGA hats and their hate group badges are all intended to normalize support for an orange man who bragged about sexually harassing women and who is waging a war of hate, racism and prejudice against our Muslim, Latinx, Black and Native neighbors. So who are the “Nazis” and the “fascists,” you ask? That’s easy — anyone with whom they disagree and especially anyone who voted for Donald Trump. It doesn’t take a rocket scientist to get the point — no pun intended — of this particular image. And it appears that not everyone was scared off. “Anyone tries to come and get violent with me while I’m at a family event with my kids u will get what u got coming,” another person said. “Funny how people who have a different view on things are called a ‘fascist’ and ‘Nazi,’ said a third person. 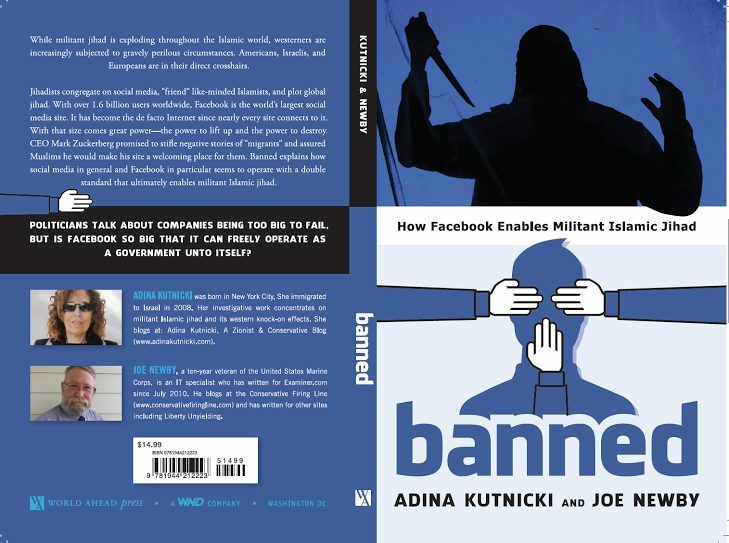 Another Facebook user wondered if there was a specific target. As we’ve reported recently, Antifa thugs have been busy fomenting violence lately, with one activist arrested after assaulting a Trump supporter at George Washington University and activists discussed obtaining firearms and combat training after the most recent riot at Berkeley. Exit question: How far will these thugs go? Update: hereThanks to threats of violence from radical leftists, the entire parade was canceled. More .